Until recently, every industry with geometric microliths in Central Asia has been classified as Mesolithic solely on the basis that this technology appeared quite late in the region. The situation was further complicated by the absence of absolute dates for Upper Paleolithic and Mesolithic sites from this region. Recent research has proved a clear association between the earliest geometric microliths in Central Asia and the Upper Paleolithic Kulbulakian culture (Shugnou, layer 1; Kulbulak, layer 2.1). The most comprehensive archeological collection in Central Asia that documents the shift from the production of non-geometric microliths (backed bladelet, Arzheneh points) to geometric microliths (scalene triangles) in a very early chronological context is Dodekatym-2 site. The main morphometric characteristics of the Central Asian Upper Paleolithic geometric microliths correspond to the development of the Upper Paleolithic and Epipaleolithic of the Near East (Masraquan cultures) and the Middle East (Zarzian culture). The absolute dates available for the Dodecatym-2 site are older than presently known ones for the early Epipaleolithic Levantine industries with geometric microliths, thus making it possible to conclude that Central Asia was at least one of the microlitization origin centers. We are grateful to the Russian Scientific Foundation (RNF), project #14-50-00036 “Multidisciplinary Research in Archaeology and Ethnography of Northern and Central Asia” for the support of analytical part of this research. The attributive analysis of Upper Paleolithic geometric and non-geometric microliths was supported by Council on grants of the President of the Russian Federation #МD-2845.2017.6. Comparisons of Central Asian Upper Paleolithic with Levantine and Zagros techno-complexes have been supported by RFBR project #18-09-00222 А. Drawings were made by N.V. Vavilina and A.V. Abdulmanova from the Institute of Archeology and Ethnography SB RAS. 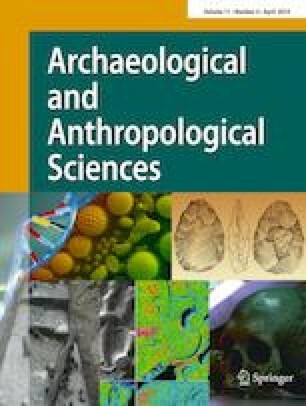 The authors are indebted to their colleagues from the Institute of Archeology and Ethnography SB RAS, the Institute of Archeology of the Academy of Sciences of Uzbekistan, for the fruitful discussions during the field studies and the preparation of this article.